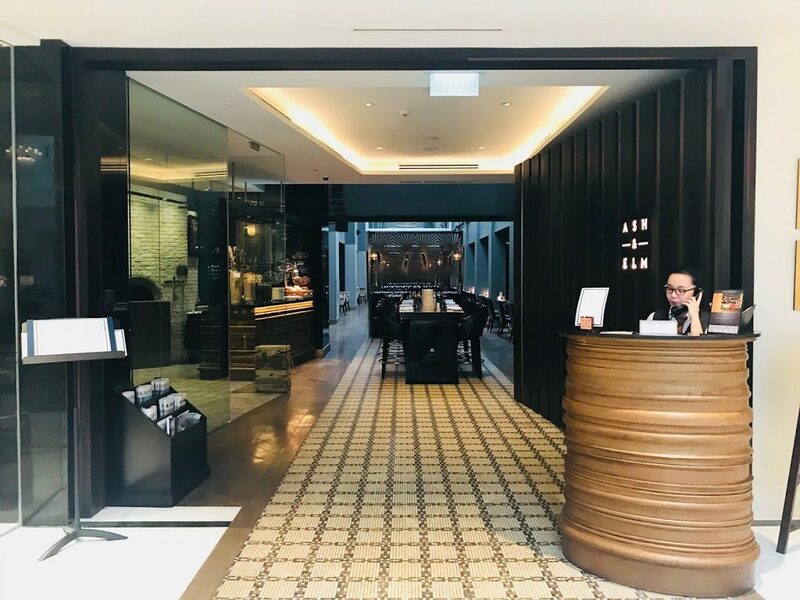 Ash & Elm is the new European restaurant in InterContinental Singapore that has taken over the spot previously occupied by longstanding all-day dining restaurant, Olive Tree. 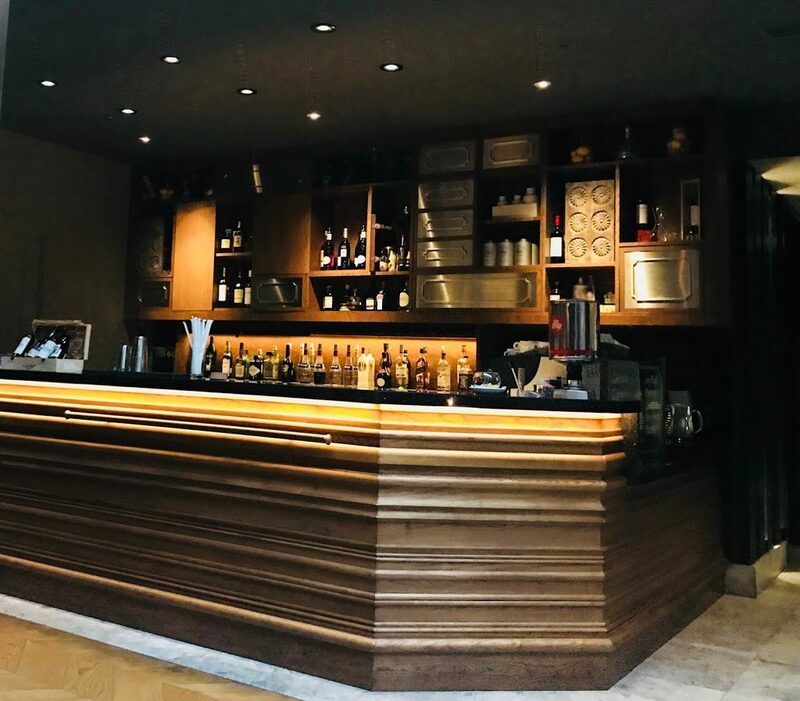 Recipient of the G Restaurant Award of Excellence, Ash & Elm brings you on a gastronomical adventure. Ash & Elm is helmed by Chef Philippe Duc who is well-known for his accomplishments at InterContinental Hong Kong. Chef Philippe Duc started his cooking career at Alain Ducasse Enterprise where he worked up the ranks at the 3 Michelin Star Alain Ducasse. He helmed SPOON by Alain Ducasse in InterContinental Hong Kong and led the restaurant to clinch 2 Michelin Stars in 2012 to 2014. 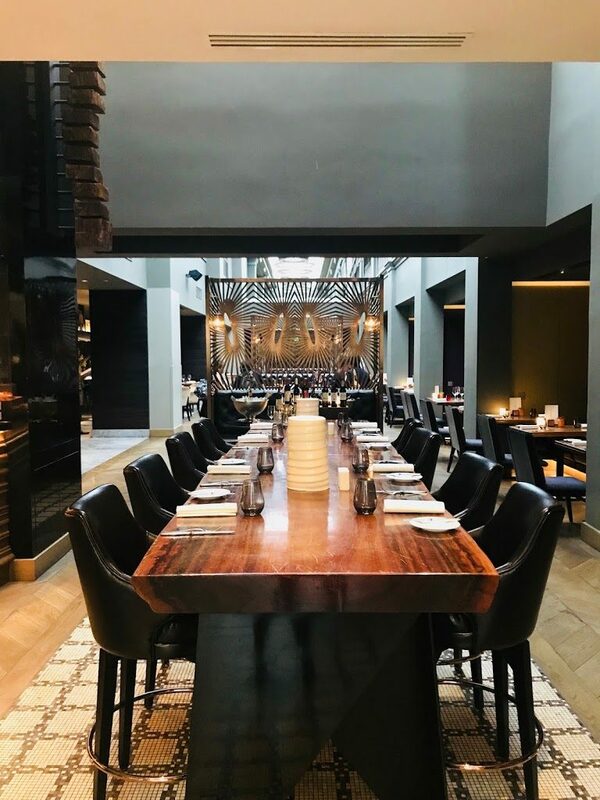 Diners can learn more about the food that they are eating and watch as their food is being prepared at the three culinary theatres – charcuterie and cheese room, wood-fired oven and open charcoal-grill kitchen. Besides serving items from their charcuterie & cheese room, charcoal grill and wood-fired oven, Ash & Elm also serves has appetisers (hors d’oeuvres), salads, soups flatbreads, seafood (from the pan), sharing plates, sides and desserts (patisserie). 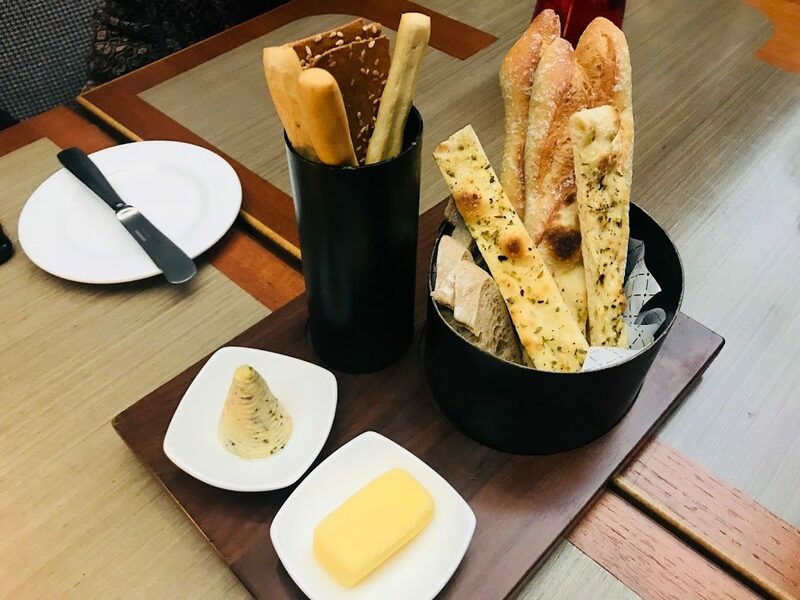 Start your meal with Ash & Elm’s homemade breadboard of baguette, breadsticks and focaccia served with salted and herbed butter. 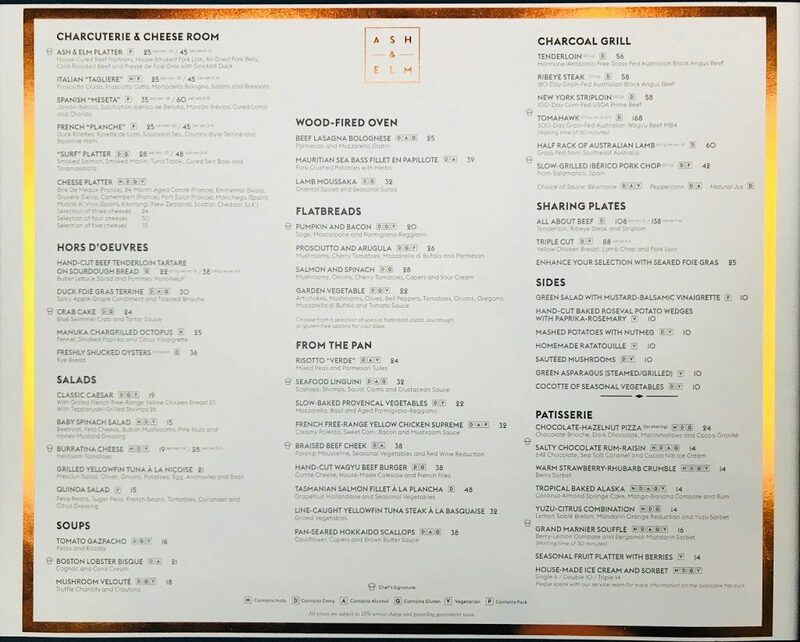 Ash & Elm Platter [$25 for 1-2 person, $45 for 3-4 person] is the signature item under the Chacuterie & Cheese Room. 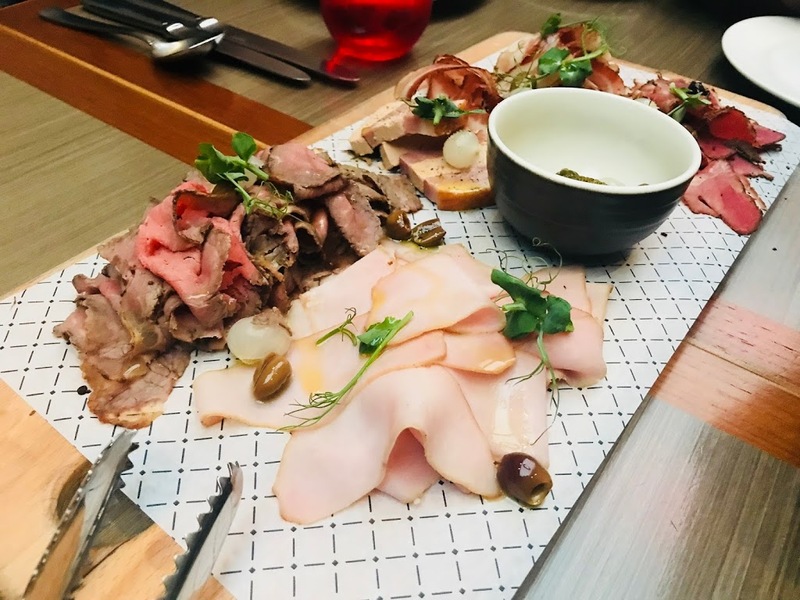 Compromising House-Cured Beef Pastrami, House-Smoked Pork Loin, Air-Dried Pork Belly, Cold-Roasted Beef and Presse de Foie Gras with Smoked Duck, it is the perfect dish to sample a selection of Ash & Elm’s own cured meats. 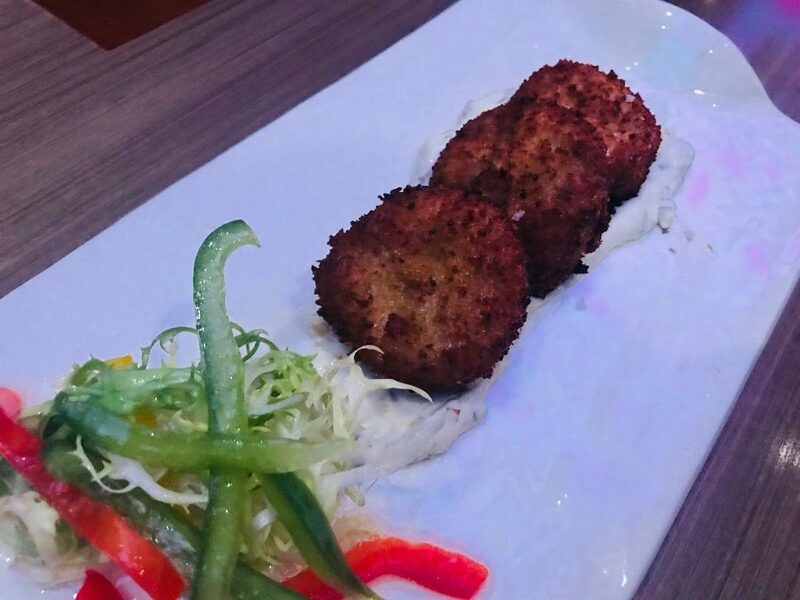 Moving down the menu,the three pieces of Crab Cake [$24] made with blue swimmer crabs are perfectly crispy but lack in taste. Burratina Cheese [$19 serves 1-2 person, $28 serves 2-3 person] gives me my first taste of the burratina cheese which is not commonly found in Singapore. 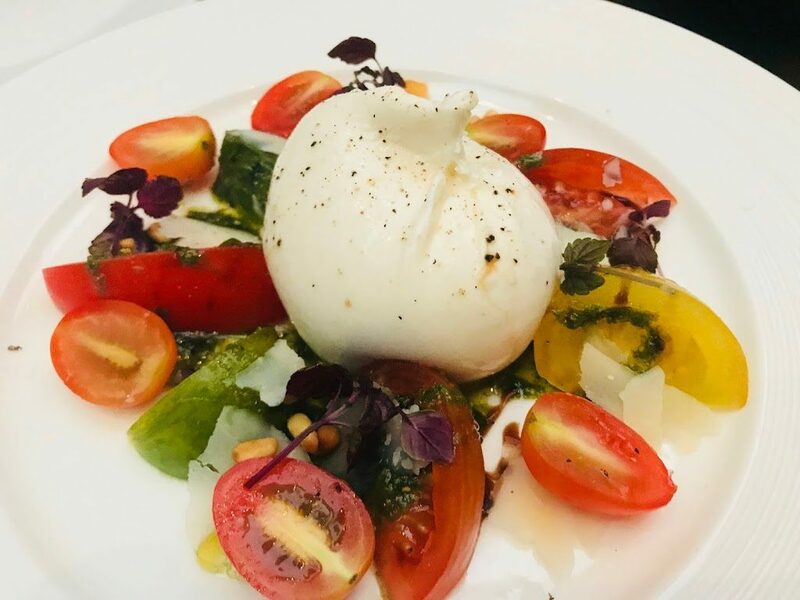 Burratina or burrata, meaning “buttered” in Italian, is an Italian buffalo milk cheese of an outer shell of mozzarella holding in a creamy mixture of stracciatella and cream. Pairing it with heirloom tomatoes brings a little balance to the dish. The staff sets the bowl with cream made of cognac on the table and proceeds to pour the lobster broth into the bowl. The cream creates a beautiful swirl in the soup. 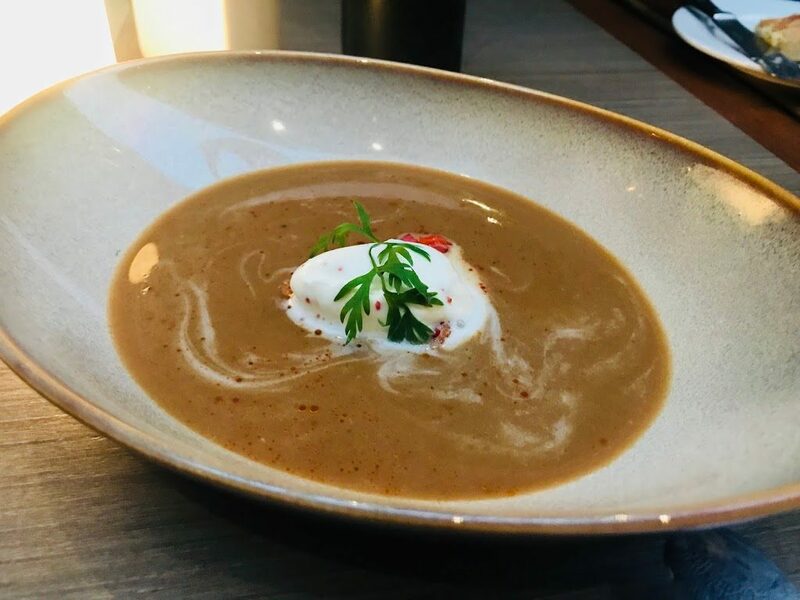 The presentation of Boston Lobster Bisque [$21] is implacable but the creamy bisque itself is a little too salty. 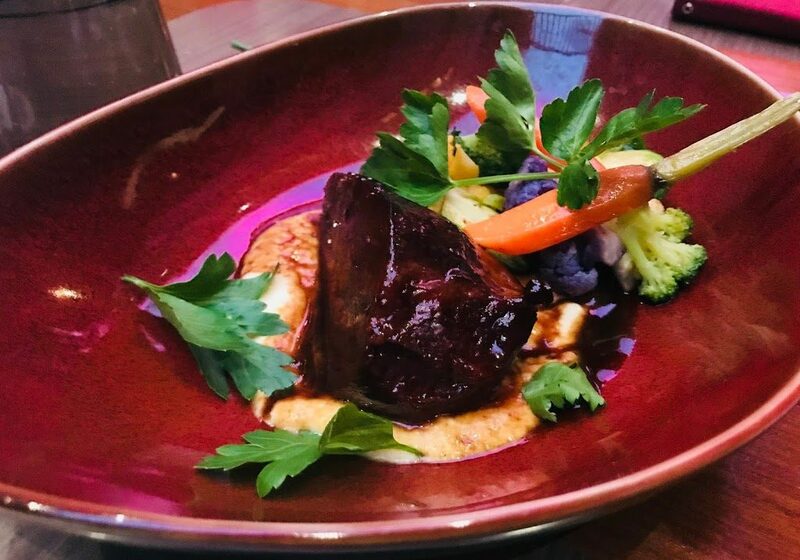 Braised Beef Cheek [$38] is served with parsnip mousseline, seasonal vegetables and red wine reduction which helps in balancing out the saltiness of the meat. 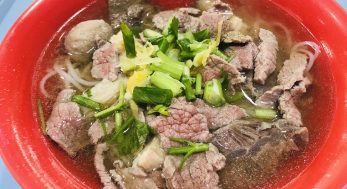 The braised beef cheek is melt-in-the-mouth tender. Pan-Seared Hokkaido Scallops [$38] is all about the presentation. 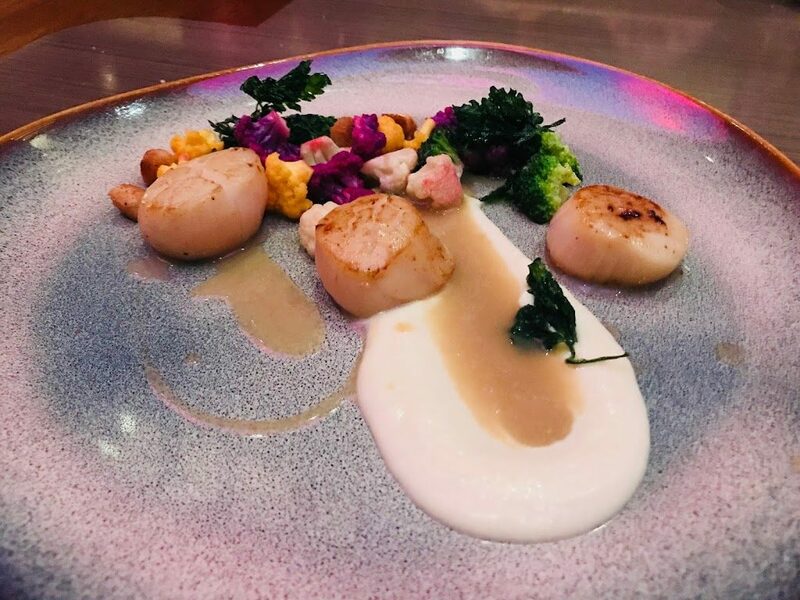 Served on a beautiful pinkish-grey plate are three miserable pieces of scallops, cauliflower, capers and brown butter sauce. I would have liked my scallops a little more browned. I was a little disappointed with the Ribeye Steak [$58]. 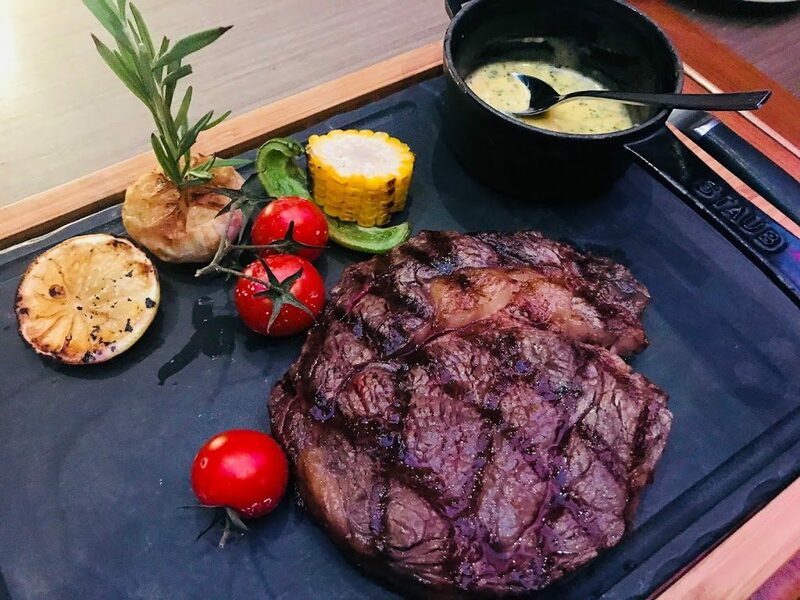 The 300 grams of 120-day grain-fed Australian black angus is served with roasted garlic and corn and heirloom tomatoes. 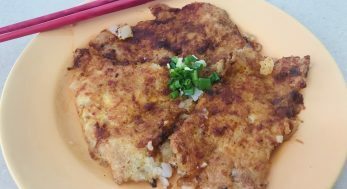 The meat is well-grilled with beautiful grill marks, but the grilling has not managed to lock in all the delicious juicy in the meat. 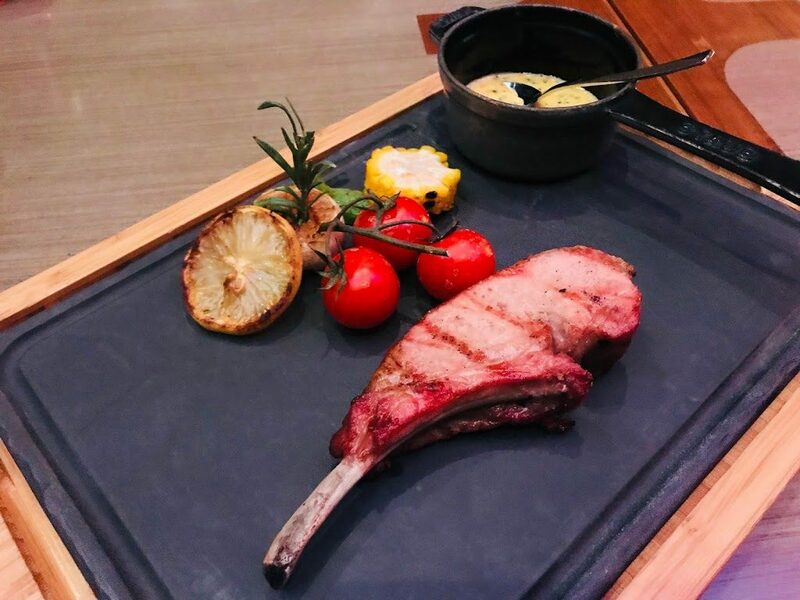 The Slow-Grilled Iberico Pork Chop [$42] looks so good, doesn’t it? The pork is flown in from Salamanca in Spain and roasted for many hours, locking in all the juice. 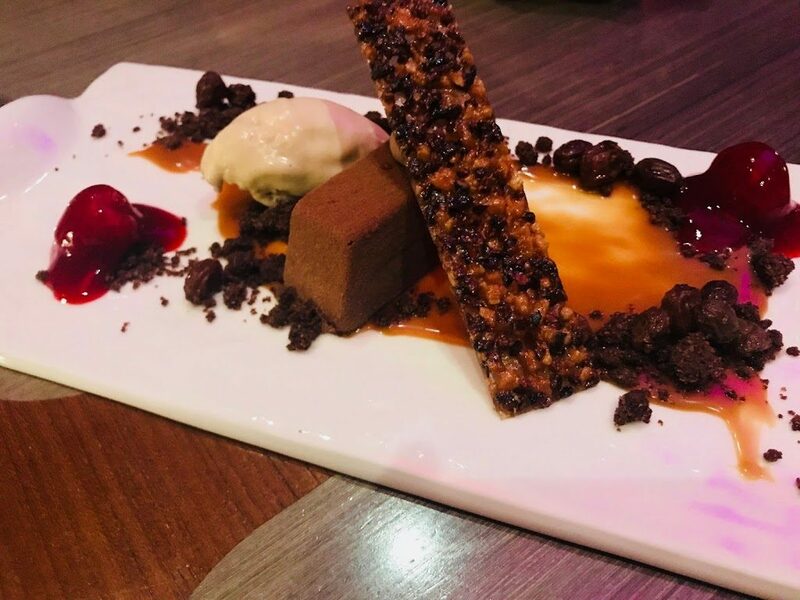 Chocolate-lovers will like the Salty Chocolate Rum-Raisin [$14] where a chocolate bar made of 64% dark chocolate is paired with candied cherries, rum-soaked raisins, a scoop of creamy ice-cream and cracker. Grand Marnier Souffle [$16] gives you three different soufflé experiences in one sitting. 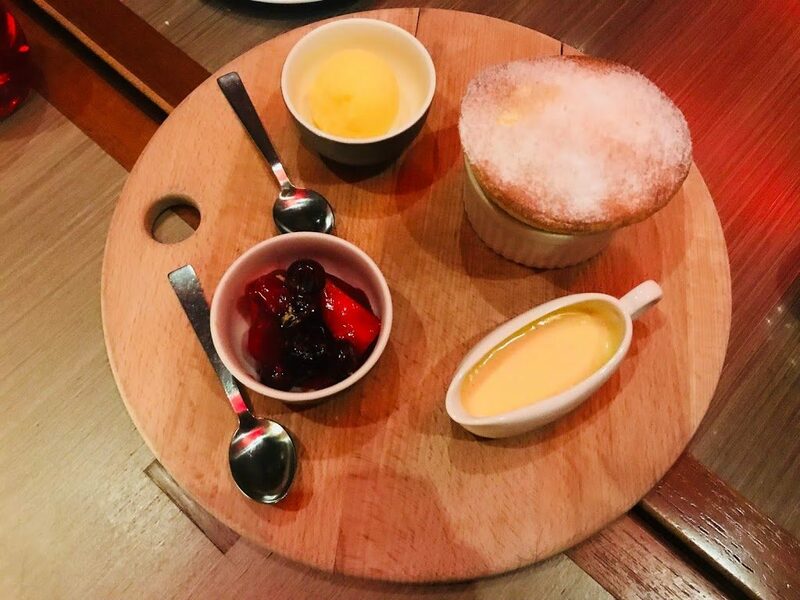 Pair the soufflé with the cream sauce for a rich experience, pair it with the berry-lemon compote for an antioxidant-rich experience, or pair it with the bergamot-mandarin sorbet for a refreshing take on this classic French dessert. 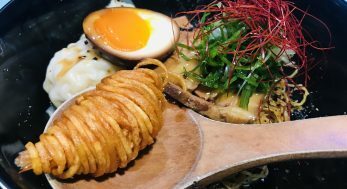 Yuzu-Citrus Combination [$14] is perfect for those who like to end their meal on a sour note. 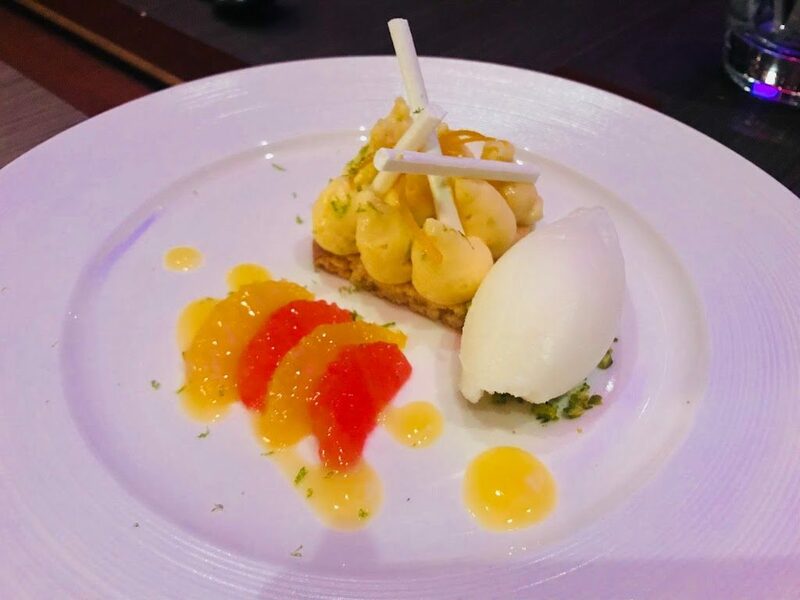 Lemon cream seats on top of French shortbread cookie known as sable breton, accompanied by mandarin orange reduction and yuzu sorbet. It is a very refreshing dessert but pretty sour.